It is difficult to begin to estimate the huge extent of the contribution that Niklaus Wirth has made to IT as it exists today. Although now retired for ten years, he remains a abiding influence on the design of computer languages. It is likely that the first structured computer language you ever learned was written by him. He still has fascinating views on contemporary software trends, as Richard Morris found out when he spoke to him. 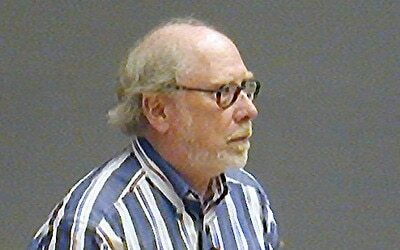 In 1970 a Swiss mathematician and computer scientist named Niklaus Wirth designed Pascal, possibly the best known, and most influential, programming languages of all time. Originally it was intended as a teaching tool to promote the structured programming style of another leading computing pioneer, Edsger W. Dijkstra, but it quickly transcended its initial remit and became a general-purpose language. As long as programmers cherish their freedom not only to design their own clever software, but also to modify adopted software according to their likings, a proper design discipline remains unlikely. And as long as companies secretly cherish complexity as an effective protection against being copied, there is little hope for dramatic improvements of the state of the art. Pascal’s simplicity was one of the secrets of its success. Wirth was able to develop a small and elegant Pascal compiler, written in the language itself. It was, at the time, revolutionary. From the very successful Pascal of the 1970s through to successive languages such as Modula-2 and Oberon, Wirth has built a reputation as an excellent educator who inspires research. He has clear and well thought-out views on computer languages and software development, and he isn’t afraid to express them. Even today, his ideas often sound radical. A true engineer by nature, with interests in both software and hardware, he also influenced the modern computer keyboard after insisting that the design of the PDP – 1 used two extra modifier keys. This computer became famous for being important in the creation of hacker culture at MIT and elsewhere. The vestigial remains of Wirth’s keys can be found in the ‘alt’ keys on PC and ‘option’ key Apple keyboards. Professor Wirth was born in 1934, and obtained his degree in electrical engineering from the Swiss Federal Institute of Technology (ETH) Zurich in 1959. He received an MSc from Laval University, Quebec, Canada, in 1960 and then studied for his doctorate under the supervision of the pioneering computer designer Harry D. Huskey at the University of California, Berkeley. From 1963 to 1967 he taught as an assistant professor at the newly created computer science department at Stanford University in California and then at the University of Zurich. In 1968 he was appointed full professor of computer science at ETH Zurich. In 1970 he devised the language Pascal, in about 1980 came Modula-2, and in 1988 a language with some object-oriented features named Oberon. He designed the Lilith and Ceres computers, and subsequently became involved with circuit design tools, finally becoming head of the institute of computer systems at ETH in 1990 and retired on April 1 1999. Over the years, Niklaus Wirth has received numerous honorary doctorates and awards including the 1984 Association for Computing Machinery Turing Award, computer science’s nearest equivalent to a Nobel prize, and the 1987 Computer Pioneer Award from the Institute of Electrical and Electronics Engineers’ Computer Society. It is probably the extraordinary feat of designing not one, but three popular computer languages that makes his contribution so exceptional. He developed his initial version of the Modula programming language as a research exercise, aimed at demonstrating that an operating system for a personal work station could be written entirely in a high-level language. The subsequent and much more widely used Modula-2 language was developed between about 1979 and 1981. The Oberon project, which contains the most mature fruits of Wirths design talents, was launched in 1985 by Wirth with Jurg Gutknecht. Oberon had many of the features of Modula-2, but some unwanted aspects were removed and other features were added. The project was originally targeted towards in-house hardware and this drove the language design, but versions of the Oberon language and system were made available for a number of commercial platforms. With Oberon, Wirth has tackled the most difficult feat of all: to create the simplest possible language: Oberon 7 is an intellectual tour de force. One of his most remarkable projects beside the languages was the design of the Lilith personal workstation, based on the programming language Modula-2. It was influenced by the renowned Alto computer, designed at Xerox Palo Alto Research Center in the United States. Although both were technical triumphs, neither resulted in direct commercial success. Nikalus Wirth is primarily remembered as a prolific, expert and successful designer of imperative programming languages and was important in the structured programming movement. His languages have helped in the quest for more understandable programs. “None of my languages were designed from scratch. Oberon (1988) evolved from Modula-2, Modula-2 (1979) from Pascal and Mesa, Pascal (1970) from Algol-W, and Algol-W from Algol 60. They represent an evolutionary sequence. Each time a new paradigm entered the picture, yet the general structure and syntax were retained. In Algol-W the record and pointer facilities entered the picture, in Pascal the strict application of structuring, not only of programs, but also of data, in Modula-2 it was modularization in combination with type-safe, separate compilation, and in Oberon it was object-orientation in disguise, combined with a rigorous desire to reduce the number of features and facilities, to get rid of bells and whistles. “During the first seven years we received many requests from universities for help in implementing Pascal on their specific computers, main-frames in computer centers. To facilitate this activity, we specified a hypothetical stack computer, which could easily be reprogrammed on the computers in question, and whose code was called Pascal-P, the P standing for portable. This technique turned out to be very successful, and it caused Pascal to spread among universities for teaching programming. However, industry remained aloof. They claimed that retraining their work force to a “non-standard” language would be impossible, and shifting to a “university product” suicidal. The break-through came with the arrival of the micro-computers, cheap machines that entered schools and homes. These computers did not feature large memories. Hence, the Pascal system with its compact interpreter was the ideal vehicle to introduce a high-level language, adequate for teaching programming in a structured fashion. “Procedural programming is still the most common paradigm, and it will remain so, because the semantic gap between procedural languages and computers is smaller than for any other paradigm. Instruction sequences are represented by statements, and the state space by variables. “This is an understatement. As a teacher, I have a great aversion against over boarding complexity. C++ is a language that was designed to cater to everybody’s perceived needs. As a result, the language and even more so its implementations have become monstrously complex and bulky, difficult to understand, and likely to contain errors for ever. Yet, C++ will remain in use, mostly as a software legacy. The more complex an object, the larger the investment in learning to use it, and the greater the resistance to abandon it. We recently have heard considerable grumbling about the complexity, bulkiness, and lack of reliability of the widely used software systems for PCs and servers, particularly from people who are concerned about their trustworthiness. Being constantly connected to a world-wide network, the systems are vulnerable, be it through vicious attacks or through back doors. In order to protect a system from attacks, all possible cracks must be removed, and in order to eliminate hidden back doors, the entire system must be in the open to the designer. Proprietary software preclude these possibilities, and therefore the Open Source approach has gained many supporters. I remain skeptical. As it stands now, also the systems available in open source are complex, and who wants to read and comprehend millions of lines of code before using these programs? Besides all the good things, the open source movement ignores and actually hinders the perception of one of the most important ideas in designing complex systems, namely their partitioning in modules, and their formation as an orderly hierarchy of modules. The key idea is that the designer of a module using (importing) other modules, need not know any of the source code of them. He must rely solely on a clear specification of the interface of these modules. Most of the time, modules lack such clear, complete, and unambiguous interface specifications. And if the complete source is available anyhow, so the story goes, who needs it? Richard Morris is a journalist, author and public relations/public affairs consultant. He has written for a number of UK and US newspapers and magazines and has offered strategic advice to numerous tech companies including Digital Island, Sony and several ISPs. He now specialises in social enterprise and is, among other things, a member of the Big Issue Invest advisory board. Big Issue Invest is the leading provider to high-performing social enterprises & has a strong brand name based on its parent company The Big Issue, described by McKinsey & Co as the most well known and trusted social brand in the UK. Programming – just digging a trench… may be the grave? What a compassion! Real progress in deed advances much slower than the increase of computing and storage power. If fathers could be adopted: Niklaus Wirth is one of mine! Very interesting, some excellent points there. I was thought Pascal in college, then worked as a C++ programmer for several years. Too true. I found it difficult to leave behind C++, having finally acheived a certain level of knowledge. Plus I could no longer look down on the non C++ people! I think its hard to leave behind any language though, as its a long time to become “good” at a new one. I was programming in Pl/1 when I first came across Pascal in the seventies. The contrast was enormous and I remember programming in Pascal as a very liberating experience. If one could somehow bottle Niklaus Wirth’s great wisdom, it would look like Pascal. The legacy lives on in C#. I loved the article and Niklaus’s continuing sagacity. Inspiring article. His example of clear thought and common sense is what makes great designers. btw.. “The key idea is that the designer of a module using (importing) other modules..
What was wrong with the word “using”…? Even Niklaus seems to be behind in IT verb-replacement – how heartening. What a superb interview this was, and what a superb candidate! The only thing one might revise is “Geek of the Week”. Surely Nicklaus deserves “Geek of the Decade”. I loved his concise puncturing of the OOP parade. When you strip the covers off, all it is is arrays of arrays, with some pointers tossed in.